Penalties such as these can cause a terrible disruption to your employment, educational studies and personal relationships. But that doesn’t have to happen. For more than 30 years, the Law Office of David Jay Glassman has provided aggressive and effective defense counsel for our New Jersey clients accused of disorderly persons offenses. 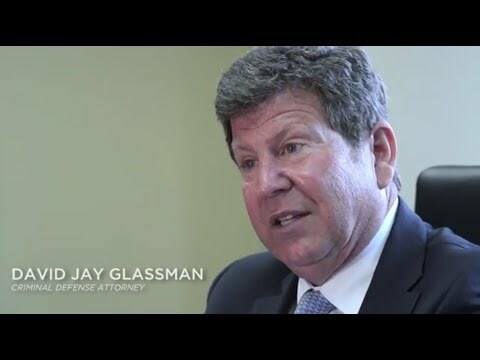 Rather than face arraignment and trial alone or with an overworked public defender, reach out to David Jay Glassman, a widely respected criminal attorney known for innovative advocacy. We are determined to provide a passionate defense to limit any negative effect from your arrest. Simple assault — Causing bodily injury or deliberately attempting to put someone in fear of imminent bodily injury is a disorderly persons offense, unless it results from a mutually agreed-upon fight, which makes it a petty disorderly persons offense. Possession of less than 50 grams of marijuana or drug paraphernalia — The municipal court may impose a $500.00 drug enforcement reduction penalty and must suspend the offender’s driver license for six months to two years. Shoplifting — This is only a disorderly persons offense if the merchandise in question is valued at less than $200. If the value is greater, it becomes an indictable offense (or felony). Disorderly conduct — This includes improper behavior, such as fighting, threatening or using profanity. Resisting arrest — If the offender uses force, threats or intimidation or creates a risk of injury to a law enforcement officer or others, this becomes an indictable offense (or felony). Passing a bad check — This is a disorderly persons offense if the person knew the bank would not honor the check and it was written for less than $200. A greater amount makes it an indictable offense (or felony). Lewdness — An indecent act that the offender should have reason to know might be seen by a person who could be offended. The Law Office of David Jay Glassman is fully prepared for courtroom battles through the state of New Jersey. If you’re arrested, make our firm the first you call. To schedule a consultation and evaluation of your case, call 866-221-1270 or contact us online.